Is your marriage under attack? Sometimes it can feel like the world is trying to tear your marriage apart. Internal conflicts or external pressures might make you wonder if something sinister is going on. How can you tell if you're facing spiritual opposition? And what can you do about it? 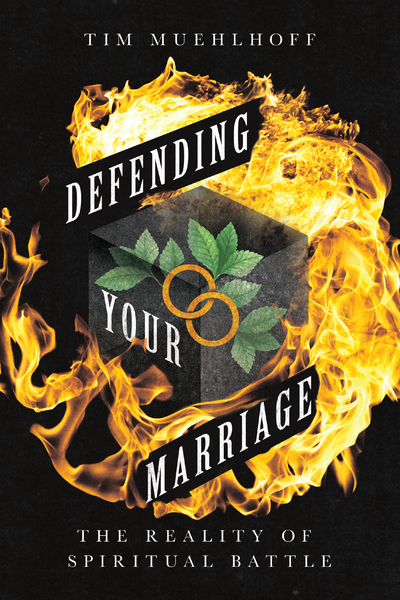 Tim Muehlhoff provides a straightforward resource for protecting your marriage from the threats of the evil one. He looks at what Scripture says about spiritual warfare and how our everyday struggles have deeper spiritual realities. And he provides practical steps for guarding our marriages with the whole armor of God. In our marital challenges, we wrestle not against flesh and blood but against powers and principalities that try to separate us from God and each other. But fear not. Learn to stand firm in Christ and trust in the Lord to deliver us from evil.